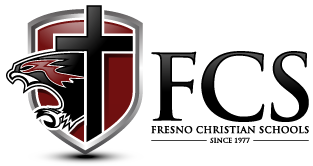 The Fresno Christian performing arts program offers a variety of music and drama instruction starting in kindergarten. Students’ options include but are not limited to: vocal and instrumental music, visual arts, theatre arts, video production, photojournalism, and home economics. Our performing groups are active throughout the school year, participating in local, regional, and national festivals. Recently our high school music groups were awarded the top Sweepstakes trophy at the prestigious Heritage Festival, and our Ladies Ensemble will be traveling this year to the invitation-only Festival of Gold at Carnegie Hall. Our Fine Arts program focuses on the development of basic skills and necessary techniques used in drawing, painting, and a variety of art and craft forms along with developing the ability to critically evaluate their own work as well as those of the great masters. A brief history of art and various artisits will also be investigated. Students will draw using graphite pencils, colored pencils, charcoal, and pen and ink with an emphasis on the elements and principles of design. In addition, students will learn the techniques of water color and tempera painting through actual experience with projects. Furthermore, students will explore different subjects each semester, which may include paper making, mosaics, rock painting, scratch board, origami, basket weaving, sculpture, mobiles, collage, paper mache’ and print making.